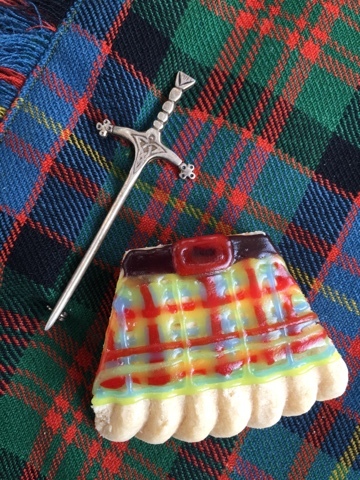 A no bake biscuit treat which is ideal for any Scottish celebration be it Hogmanay, Burns Night or St Andrew's Day. 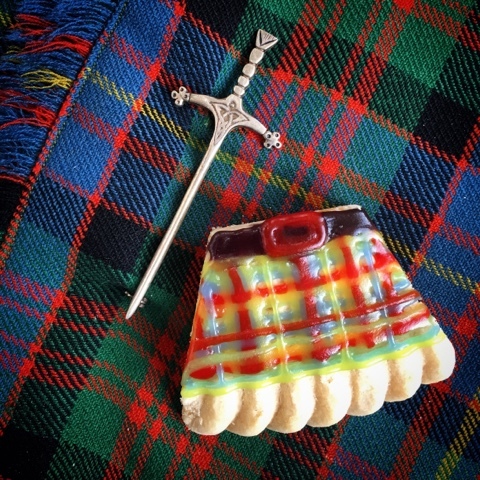 Decorate petticoat tails shortbread with wrirting icing to design your very own clan tartan on these Shortbread Kilts. As Scotland's Patron Saint, poor old St Andrew doesn't always seem to get the attention he deserves. Celebrated on 30th November St Andrew's Day is often overshadowed by the Burns Night celebrations of 25th January. 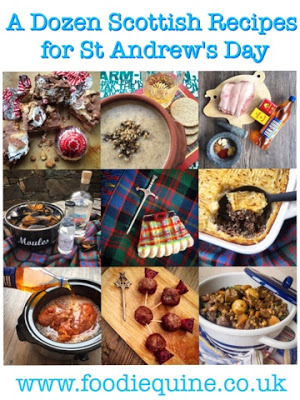 However in recent years, particularly since 2006 when the Scottish Parliament designated St Andrew's Day as an official bank holiday, there has been somewhat of a resurgence in celebrations surrounding the date. But how can we celebrate our Scotish heritage with food? 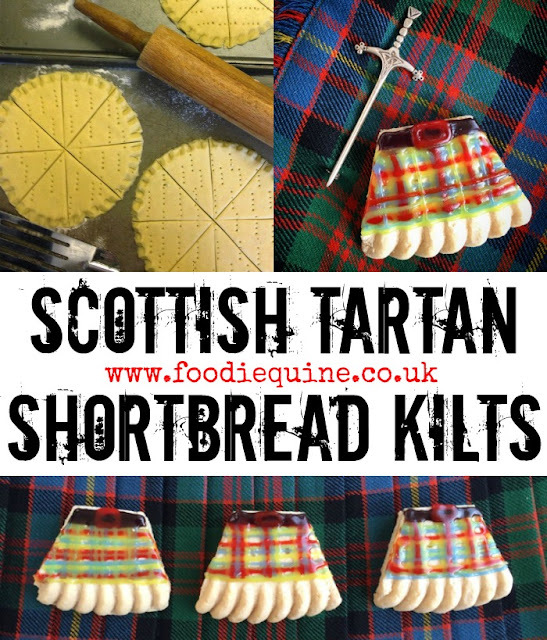 There's not much more Scottish than Tartan and Petticoat Tails so I made some Shortbread Kilts! These are absolutely ideal to make with kids be it in the nursery or classroom or in a Brownie or Cub Scout pack. Those with less OCD tendancies can let the kids go wild and create their very own tartan. They'll work well for whatever the Scottish occassion be that St Andrew's Day, Burns Night or Hogmonay. Use a sharp knife to cut the points off Petticoat Tails Shortbread (you can buy or make your own using my recipe above). 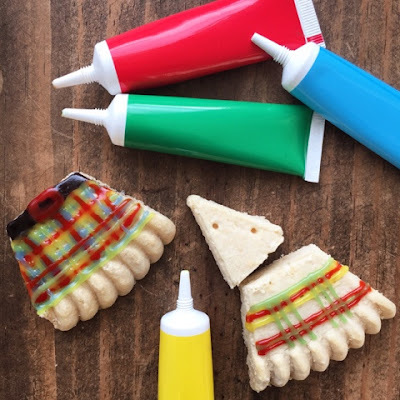 Then create your very own edible clan tartan using writing icing. Great fun for both little and big kids. Thanks Camilla, they seem to have been really popular everywhere I've shared them. Claire these are too cute! Love them. 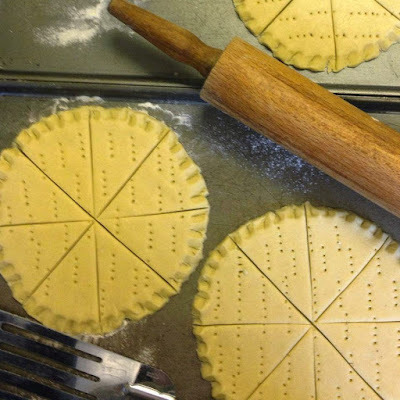 Such a clever idea to use normal shortbread rounds too. Thank you! I must admit that I used shop bought for them rather than making my own. But my Granny's shortbread recipe is fab! Those shortbreads are amazing! Love your other recipes too..the tunnocks s'mores are such a great idea. Well done you! These are just so cute and clever - I love them! Thank you. Scotland embodied in biscuit form! Thanks Louise. Its now been suggested that I should have used the offcuts to make tartan hats!